1. Beaded wedge sandals that'll make you feel like you just stepped directly into a scene from Mamma Mia! Get them from Amazon for $25.98+ (available in sizes 5–10 and in seven colors). 2. 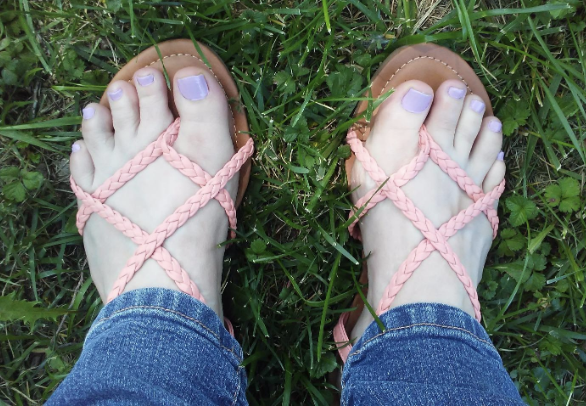 Comfortable sandals you can wear during all of your warm weather adventures without fear of hurting your feet. Get them from Amazon for $44.95+ (available in sizes 5–11 and in three styles). 3. 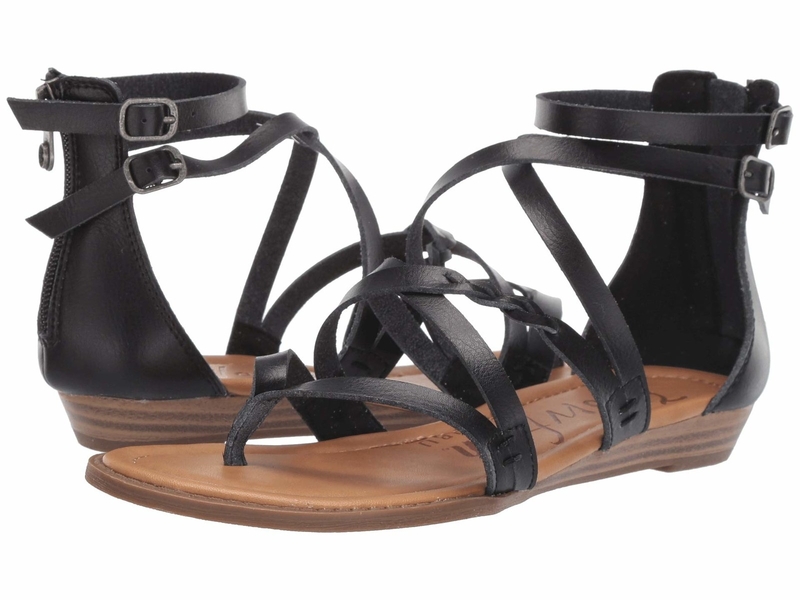 Gladiator flats to make you feel as badass as a Roman warrior, even if you're just walking to get Starbucks. Get them from Walmart for $27.99 (available in sizes 5.5–11 and in four styles). 4. 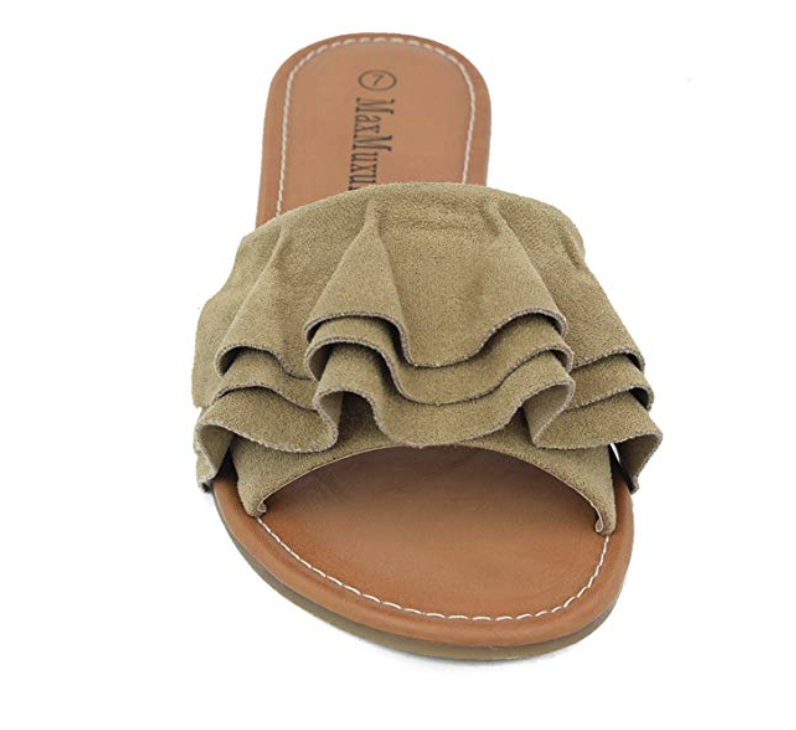 Ruffled slides that'll have you feeling fun 'n fancy free while you strut your stuff through the office. Get them from Amazon for $11.99+ (available in sizes 6–11 and in four colors). 5. Or ruffled block heels to achieve a similar look, but take it to ~new heights~. Get them from DSW for $29.98+ (available in sizes 6–10 and in two colors). 6. Waterproof shoes you can wear while wistfully walking along the beach with a tropical drink in-hand. Get them from Amazon for $46.95 (available in sizes 4–9 and in five styles) or ModCloth for $45 (available in UK sizes 4–9 and in gold, red, blue, tan, and black). 7. 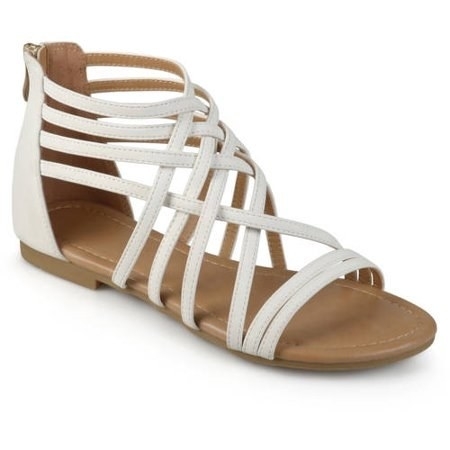 Or similar strappy sandals with a cork bottom, so you know they're gonna be super comfy! Get them from Amazon for $17.39+ (available in sizes 6–11 and five colors). 8. Colorful and comfortable sandals that'll make you squeal with delight each time you wear them. Get them from Daybreaks for $39.95 (available in sizes 5.5–10 and in four styles). 9. Multi-strap sandals to make your feet look like works of art. Get them from Asos for $48 (available in sizes 4–11). 10. 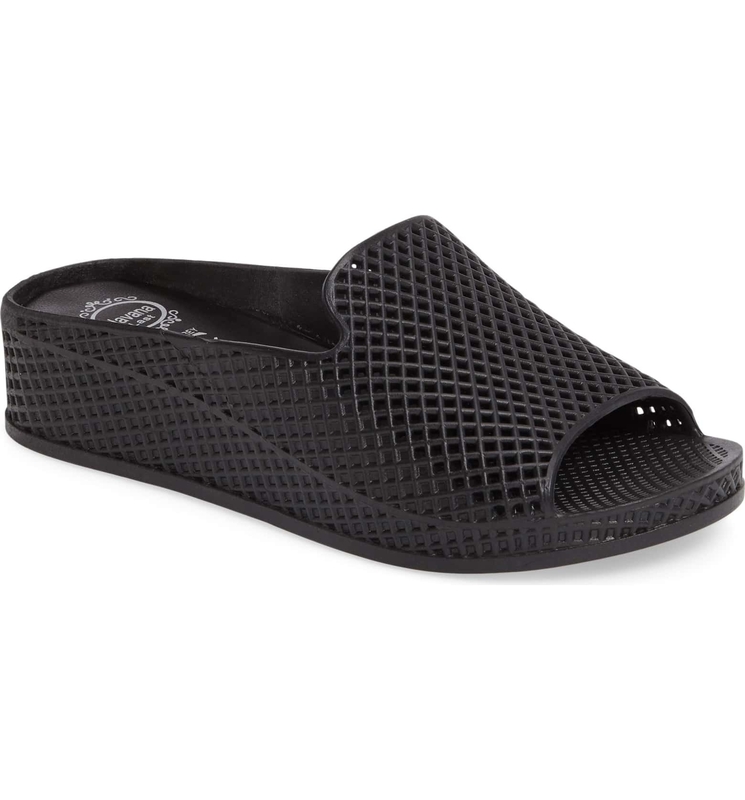 Basic sandals with elastic straps, so your feet won't feel constrained when you step out into humid weather. I own a similar pair of shoes and my only regret is not owning them in every single color. They're super comfortable and airy — everything you'd want in a sandal. Get it from Amazon for $12.40+ (available in sizes 5–11 and in 11 colors). 11. 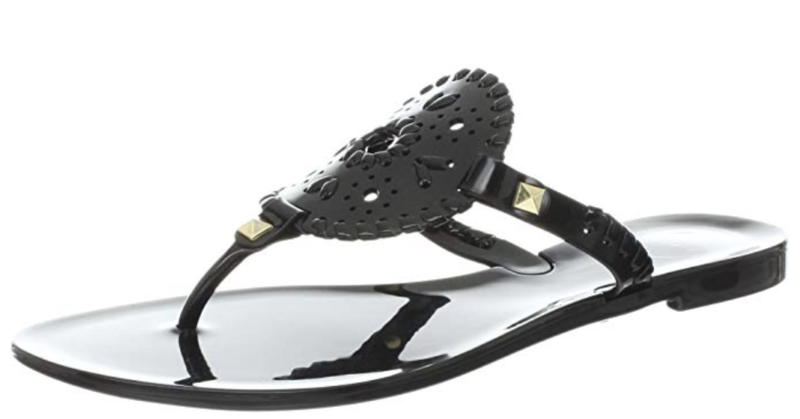 Stylish Jack Rogers' jellies, a must-have for any fashionista looking to cash in on this fun trend without breaking the bank. 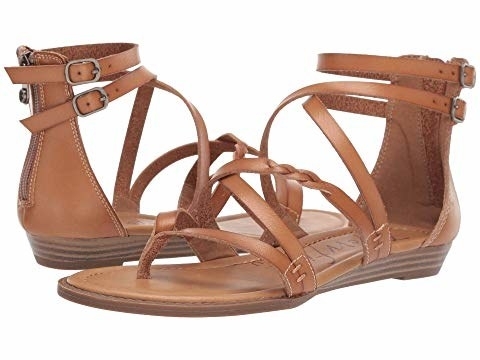 Get them from Amazon for $16.99+ (available in sizes 5–11 and in 13 styles) or from Jack Rogers for $49.95 (available in sizes 5–11 and in five styles). 12. Faux suede cutout sandals to help you seamlessly transition your wardrobe from winter into spring. Get them from Forever 21 for $29.90 (available in sizes 5.5–10). 13. 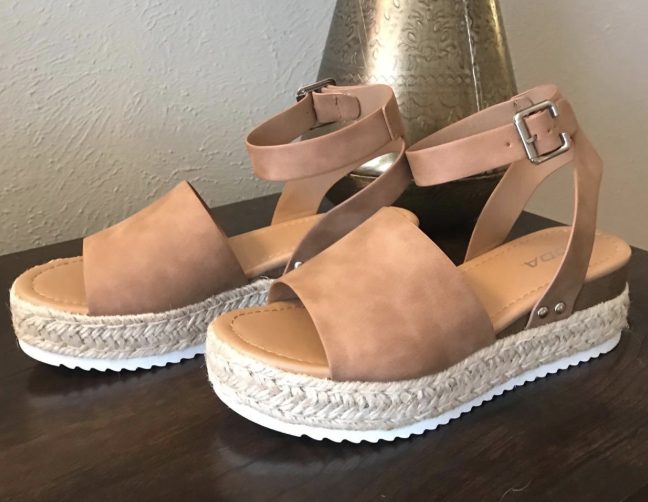 Or faux suede espadrille sandals that'll add the perfect finishing touch to that dress you've been dying to wear. 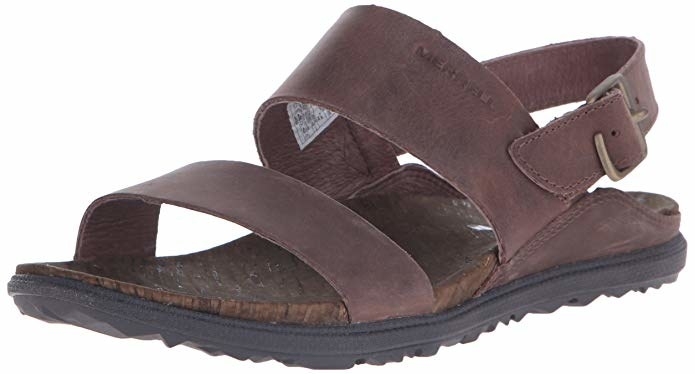 Get them from Amazon for $25.30+ (available in sizes 5.5–11 and in 15 styles). 14. 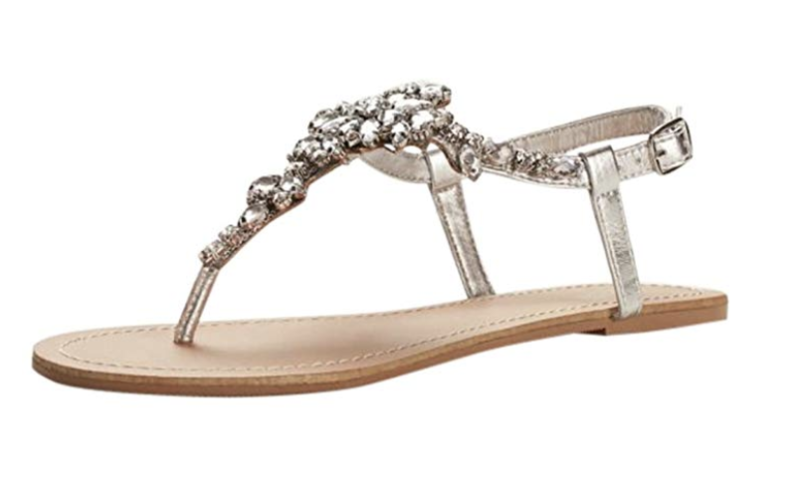 Bedazzled sandals you'll love for the way they add a touch of ~bling~ to any outfit. Get them from Amazon for $29.95 (available in sizes 5–11). 15. Leopard print espadrilles to add to your ever-growing collection of shoes right ~meow~. Get them from Missguided for $33 (available in sizes 5–10 and in five styles). 16. T-strap sandals that'll become your go-to shoes during the spring and summer when you wanna show off your toes. Get them from Amazon for $32.99+ (available in sizes 5–11 and in seven colors). 17. Sporty Jeffrey Campbell slides, so versatile they'll look fantastic with a dress or cutoffs. 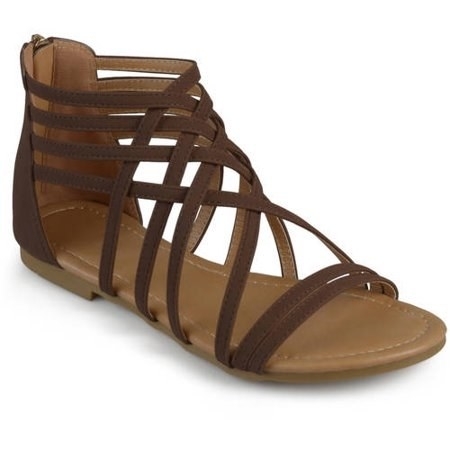 Get them from Nordstrom for $39.95 (available in sizes 5–11 and in four styles). 18. 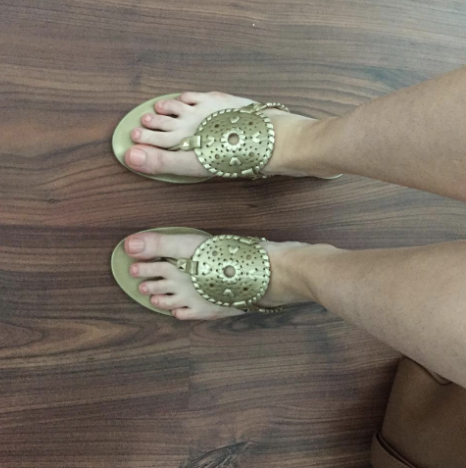 Simple sandals you can wear with anything in your closet, making them the perfect accessory. Get them from Amazon for $34.99+ (available in sizes 5–11 and in six styles). 19. Iridescent slides that'll have people chasing you on the beach to ask "where'd you get those sick shoes!?" Get them from Forever 21 for $14.90 (available in sizes 6–8). 20. 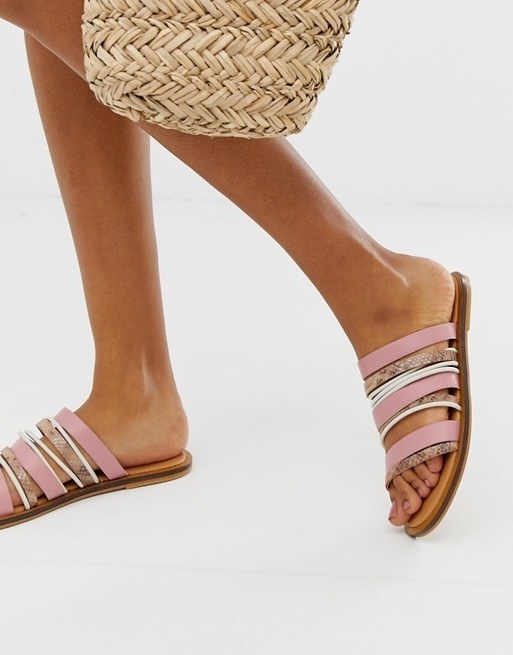 Braided sandals, for a chic but simple way to upgrade your wardrobe. Get them from Amazon for $8.99+ (available in sizes 5.5–11 and in 11 colors). 21. 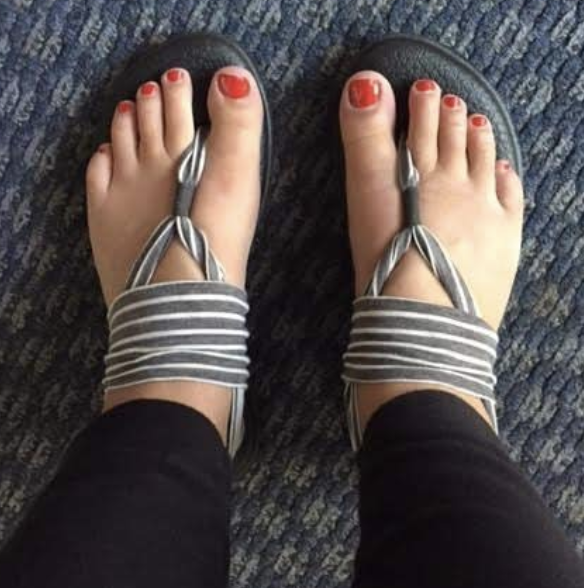 Casual slides to grab in a hurry when you're headed out the door to run some errands. 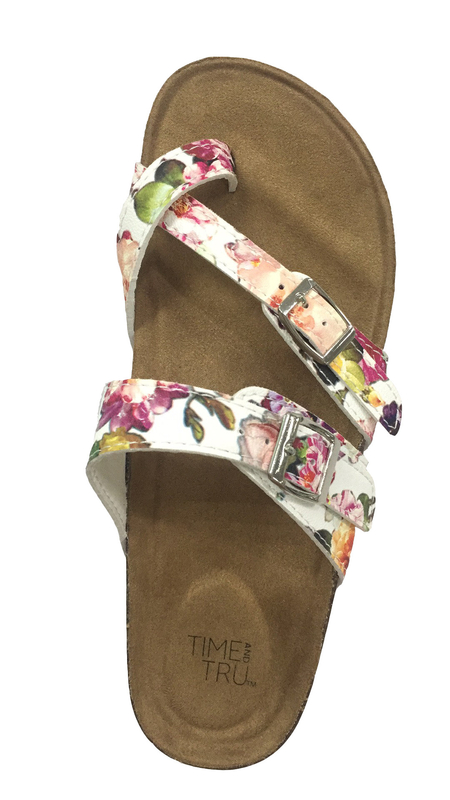 Get them from Walmart for $14.88 (available in sizes 6–11 and in three styles). 22. Fabric sandals that would make your feet sigh with relief (if they could talk) the moment you slip into them. Get it from Amazon for $11.48+ (available in sizes 5–11 and in 47 styles). 23. Fabulous sandals you'll love ~slithering~ into on a daily basis. Get them from Topshop for $40 (available in sizes 4.5–11.5 and in two styles). 24. Chunky block heel sandals reviewers say are so comfortable, you won't even realize you've got on heels. Get them from Amazon for $24.99+ (available in sizes 4.5–11.5 and in 15 colors). 25. 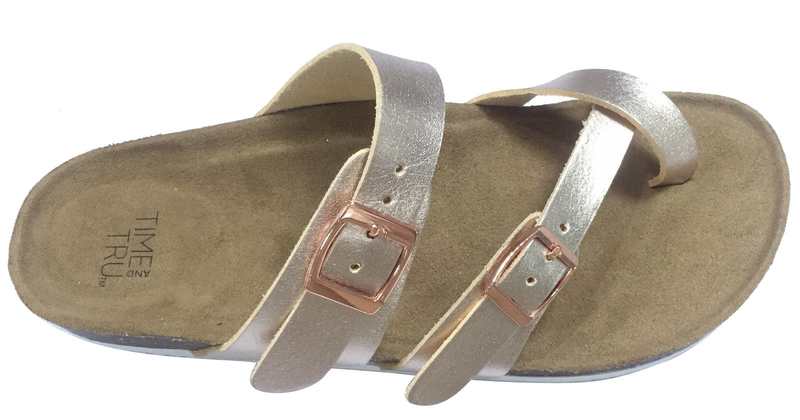 Strappy sandals, available in a variety of muted colors you'll love so much you'll want 'em in every style. Get them from Zappos for $39 (available in sizes 6–11 and in three colors). 26. Two-tone sandals with an ankle strap that'll make you want to skip all over and show 'em off. Get them from Amazon for $20.99+ (available in sizes 5–11 and in 17 styles). 27. Or multicolored fringe sandals, in case you really want to add a pop of color to your look. Get them from Forever 21 for $17.90 (available in sizes 5.5–10). 28. Peep-toe booties with VELCRO (!!!) straps that'll make your life SO easy you won't know how you lived this long without them. Get them from Amazon for $29.90+ (available in sizes 5-11 and five colors). 29. Futuristic-looking jelly slides to make you feel like you're a member of the Jetson family. Get them from Asos for $16 (available in sizes 5–10). 30. Strap-happy sandals that'll have you wondering "why do I even own heels?" 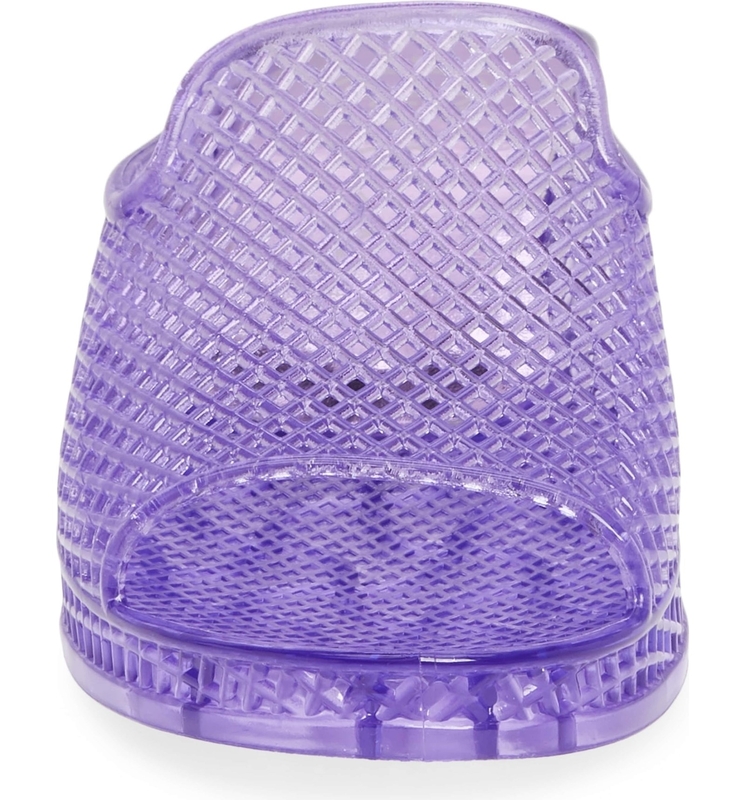 Get them from Target for $15.99 (available in sizes 5–12 and 5W–12W, and in three colors). 31. Glitter slides, excellent for adding a dazzling element to any outfit (and for showing off your latest pedicure!). Get them from Walmart for $7.97 (available in sizes 5–12). 32. And mule sandals as an edgy addition to your standard workday outfit. Get them from Urban Outfitters for $49 (available in sizes 6–10 and in three styles). Hey, if the shoe fits — buy it!